It’s Valentine’s Day and love is in the air! So let’s talk about God and love. 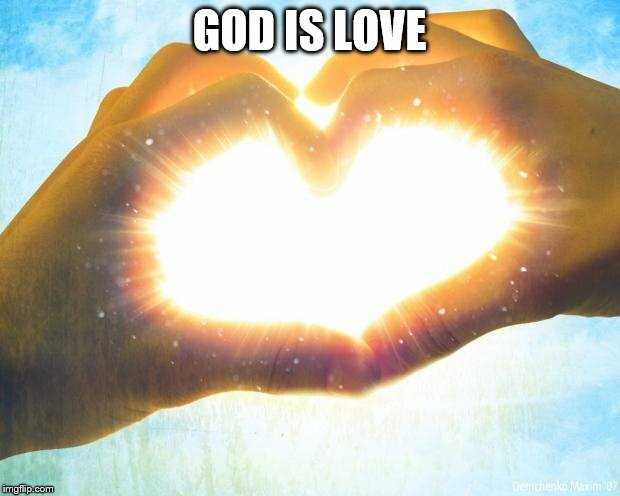 1 John 4:8 says, “Whoever does not love does not know God, because God is love.” God doesn’t just love; He is love—all love is created through him. God’s love is not based on who we are but who He is. And that’s good news for us. Because of God’s perfect love for each of his creations (that’s us! ), we can know that he will never turn away from us. But what does God’s love look like? We don’t have to guess about that 1 Corinthians 12: 4-7 tells us exactly what God’s love looks like. It’s considered one of the classic verses on love in the Bible. Usually, we interpret these words as they relate to marriage or other relationships but I want you to look at it from a different perspective. We already know that God is love from 1 John 4: 8. So, now read these verses again but substitute God for the word love or for the word it when it means love. Wow! That’s pretty awesome to know that God loves me like that. Your life and my life will never be without troubles of one kind or another. Often from our own making but not always. Life can be unfair. Life can be overwhelming but knowing that God’s love never fails can make the difference in a bad situation. Keep these words in your heart. Anytime you are having difficulty believing that God wants the best for you, that God still believes in you, that God is taking care of you: just read those verses. God will never give up on us. God won’t stop loving us. God keeps no record of our wrongs. God loves you and me yesterday, today, tomorrow, and forever. Thanks, Janelle. If only we could love so perfectly.